White Lies looks at the family of Mary and David Dell. We see them falling in love, living through the Second World War as nurse and soldier, then eventually moving to Kenya as part of the armed forces stationed there in the 1950s. Against the background of the Mau Mau uprising a different kind of drama takes hold. Slowly, through the different voices of Mary, David and their children, we piece together the mystery of their time in Africa. 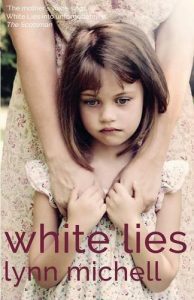 Not only does the novel very beautifully evoke the challenges of living through the war and then trying to live after it, when nothing can ever quite be what it was, White Lies also captures the feeling of being in Africa as an expat. You feel the heat, hear the gossip of the white community and see the sheer beauty of Africa. You can see the British ignorance, feel the pain of it as the Mau Mau fight back in the only way they can. This period, the way that we behaved abroad and the way we understood colonialism doesn’t get explored enough in literature. It is as if we shy away from confronting ourselves. White Lies does explore this, but as the novel went on and more white lies unravelled themselves I ended up wishing it had spent more time thinking about the differing British attitudes, more time questioning our use of Africa. In a sense the book looks more at another way in which we use(d) Africa: as a place to hide our personal mistakes. I really enjoyed the interwoven stories and the move between past and present. Each chapter felt like a small and gem-like piece of a puzzle I was slowly solving. White Lies is an interesting and well written novel. Sure, I wanted more, but perhaps that was partly in response to enjoying what I was already reading. Next week I’m reading The House of Names by Colm Tóibín.